So far Olga Kovtun has created 4 blog entries. Many patients receiving cancer treatment struggle with managing their chemo induced neuropathy. Symptoms such as numbness, prickling, and increased skin sensitivity may be bothersome and some patients also experience severe pain, muscle weakness and other effects which may decrease quality of life. If you have chemotherapy induced peripheral neuropathy (CIPN), here are some things you should know. What is chemo induced neuropathy? 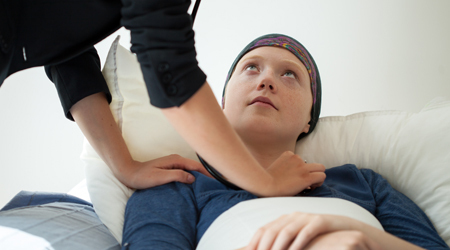 Certain types of chemotherapy medications are known to be “neurotoxic”. While these medications are important in cancer treatment, over time they may damage the nerves and prevent them from functioning correctly. Chemotherapy induced peripheral neuropathy occurs when sensory nerves in the extremities are damaged. Symptoms of chemo induced neuropathy include abnormal sensations in the feet, legs or hands such as (prickling, burning or itching), loss of sensation in the feet and hands (numbness, cold sensation), and loss of motor function which may cause (clumsiness, loss of balance, frequently dropping things). Some patients also experience severe pain which may be shooting or stabbing pains, extreme burning sensations, or cramping. Chemo induced neuropathy is a common side effect of certain cancer medications. Chemotherapy agents that are often associated with CIPN include: platinols (cisplatin, oxaliplatin, carboplatin), taxanes (paclitaxel, docetaxel) and vinca alkaloids (vincristine, vinorelbine). Neuropathy may also be caused by other conditions including diabetes, shingles, and autoimmune disorders. Prescription medications such as antidepressants, opioid analgesics, sedatives, or anti-consultants. Non-prescription analgesics or anti-inflammatories such as acetaminophen, ibuprofen and naproxen. Topical treatments such as patches, creams and ointments used for muscle soreness and arthritis. Nutritional support including a healthy diet high in B vitamins and antioxidants. Supplements may also be recommended. Physical therapy or occupational to strengthen muscles, improve balance, and help with both large and fine motor coordination. Massage therapy, acupuncture and relaxation techniques also help some patients. Take care of your feet. Clean them daily and wear slippers or shoes both indoors and outside. Make sure to check your shoes for irritants like small pebbles before you put them on. Ensure that halls and walkways are well-lit and free of clutter and tripping hazards like rugs. Make sure that your water heater is not too hot. If possible, adjust it to 110F or below. Unfortunately, in most cases, once symptoms begin to occur, chemo induced neuropathy is irreversible and may continue to worsen. If your chemo induced neuropathy symptoms are severe enough, a reduction or change in your chemotherapy may help. You and your doctor must weigh the risks and benefits of your chemo regimen and work together to determine how well you are managing your chemo induced neuropathy. Chemo induced neuropathy can be a side effect of certain cancer treatment medications. Chemotherapy induced peripheral neuropathy (CIPN) occurs when the sensory nerves of the feet, legs and arms are damaged by certain chemotherapy agents given to treat cancer. CIPN is not as well-known as other chemo side effects but it can be debilitating. Peripheral nerves normally work to detect and send signals about touch, temperature and movement from distant areas of the body such as the hands and feet. Certain types of medication used to treat a variety of cancer may damage these nerves and result in chemo induced neuropathy. If the nerves are damaged, they may no longer function correctly. In some cases, nerve signals may become too frequent, may be “confused” or they may stop happening at all. Chemo induced neuropathy is a common side effect for certain types of chemotherapy but it is not as well-known as others like hair loss and nausea. Symptoms of chemo induced neuropathy include abnormal sensations, loss of sensation and motor symptoms. Abnormal sensations – You may develop abnormal sensations in the feet, hands and other parts of the body. Sensations may include prickling or “pins and needles”, shooting or stabbing pains, unexplained itchiness and sudden or unusual extra-sensitivity. Loss of sensation – You may lose some or all sensation in the hands, feet or other areas. This may appear as numbness, feeling of coldness when the skin is warm, or an inability to sense temperature. If you cannot feel your skin, you may not notice an injury and should take care to avoid risks. Motor symptoms – You may notice a loss of motor function when your body cannot sense its own movement or your muscles are not receiving the right signals. This may cause clumsiness, loss of balance, and decreased reflexes. You may also notice that you frequently drop or cannot hold on to some items. In some case, pain caused by chemotherapy induced peripheral nausea can be severe and may limit your ability to participate in day-to-day activities. The stress of living with chemo induced neuropathy may also contribute to depression and emotional difficulties. In addition to peripheral neuropathy symptoms, some patients also develop body-wide symptoms which can be serious. Other symptoms of chemo induced neuropathy may include constipation, difficulty with urination, trouble swallowing and blood pressure changes. Any of these symptoms should be reported to your doctor right away. It may be difficult to tell if symptoms are chemo induced neuropathy or have been caused by your cancer or treatments like radiation. Symptoms of neuropathy may also be caused by other conditions like diabetes, poor circulation, shingles, autoimmune disorders and other disorders. Determining that your symptoms are caused by chemo induced neuropathy will be important in knowing how to treat your condition. Symptoms of neuropathy occur when a set of nerves become damaged or stop working correctly. The most common type is called “peripheral neuropathy” which occurs when sensory nerves coming from areas like the hands and feet malfunction. Rather than sending appropriate information about touch, temperature and motion, the nerves may begin sending confusing signals or they may stop working altogether. Symptoms of peripheral neuropathy may begin suddenly or may develop over time. Tingling or prickling sensations – Portions of your feet, legs or hands may have a “pins and needles” sensation. Burning or itching sensation – Patches or larger areas of your skin may feel as if they are “on fire” or itch severely. Numbness – Your toes or fingers, soles of feet or palms or larger areas may go “numb”. Unnoticed injuries – if an injury occurs or develops on the foot or other affected area, a lack of sensation may prevent you from noticing. Injuries that are not treated may become more severe. Extreme sensitivity – Areas of your skin may become oddly sensitive to even the slightest touch. This is known as “paresthesia”. Shooting pains – You may experience shooting pains in the affected area or nearby. These pains may “come and go” and may range from mild to severe. Loss of balance – Because your nerves are not sending the right signals, it may be difficult for your body to tell “where” it is in space, resulting in loss of balance. Abnormal gait – When sensory nerves are not functioning, coordination is much more difficult and the “gait” or normal walking pattern may become unsteady or irregular. Difficulty sleeping – Because of your other symptoms of neuropathy, you may have difficulty sleeping. Pain, tingling, or other sensations may make it hard to fall asleep or may wake ypu up during the night. Symptoms of neuropathy may begin suddenly or may develop over time. Certain symptoms may also appear to get better, only to begin again in the same or a different area. You should be aware that neuropathy may also affect your emotional well-being and should discuss all of your neuropathy symptoms with your doctor. If you have diabetic neuropathy, at home foot care is a “must do”. All diabetics need to take good care of their feet but for those with diabetic neuropathy, foot care is even more important. Your doctor should examine your feet at least once a year but at home foot care for diabetic neuropathy is a daily routine. Anyone with diabetes is at high risk for foot amputation for several reasons. The disease causes an increased risk of fungal skin infections, decreased blood supply to the extremities and inadequate wound healing abilities, which can turn a minor foot injury into a severe medical issue. It also increases the risk of diabetic neuropathy. Diabetics who have developed nerve damage or have diabetic neuropathy, may lose sensation in their feet and be unable to tell when the skin is inflamed or an injury has occurred. A regular at home foot care regimen can help decrease the chance of developing a serious infection. Inspect every inch. On a daily basis, make sure your whole foot is healthy. Wiggle and move your toes and look for any skin breakdown. Rashes, bumps, redness or discoloration should be treated immediately. Clean feet daily. Make sure you get between the toes and any buildup under the toenails. make sure that your feet are completely dry before you quit. Keeping them clean and dry will minimize the risk of fungal or other infections. Keep them dry. To reduce the chance of a fungal infection, make sure that your feet stay dry. After washing, dry them off completely and wear socks with your shoes. Trimming your toenails. Don’t cut too short. Reduce the chance for an ingrown toenail by only trimming straight across. Your health care provider can trim them for you if you can’t. Calluses, Corns and Cuticles. Don’t use any metal or sharp objects to trim the cuticles or remove corns or calluses. In some cases, you can use a pumice stone to remove skin buildup but ask your health care provider for assistance if needed. Don’t go barefoot. Even around the house you should be protecting your feet by wearing shoes or slippers. Outdoors, wear only sturdy shoes with clean socks. Get good shoes. Your shoes should fit well and completely cover your feet. Shoes should be worn with socks all of the time. You may do fine with cotton socks but some people prefer support socks or specially designed diabetic socks. Check your shoes. Before putting your shoes on, check the insides for irritants. Make sure there are no pebbles or splinters that can injure your foot and that the shoe is in good repair. Replace worn shoes immediately. See a specialist. Your feet should be checked at least once a year by your doctor but if any problems arise, you should seek medical treatment. Your health care team may already include a foot specialist and you should take advantage of that expertise if you have access. A foot specialist can advise on shoe selection, offer assistance with foot care, and will attend to more serious concerns like bunions. Foot care is essential for anyone with diabetes, but if you have diabetic neuropathy, a regular foot care routine is essential to minimize the chance for serious problems.